I knew by Thursday night that Sunday, October 4th, was going to be one of the hardest days of recent for preachers and pastors in this nation, most especially those in Oregon, and even more especially those in the Willamette Valley. What happened on Thursday, October 1st, is so unimaginable and terrifying that it’s hard for me to wrap my brain around it so, instead, I turned to my faith. I prayed for answers which I didn’t feel as if I was getting. 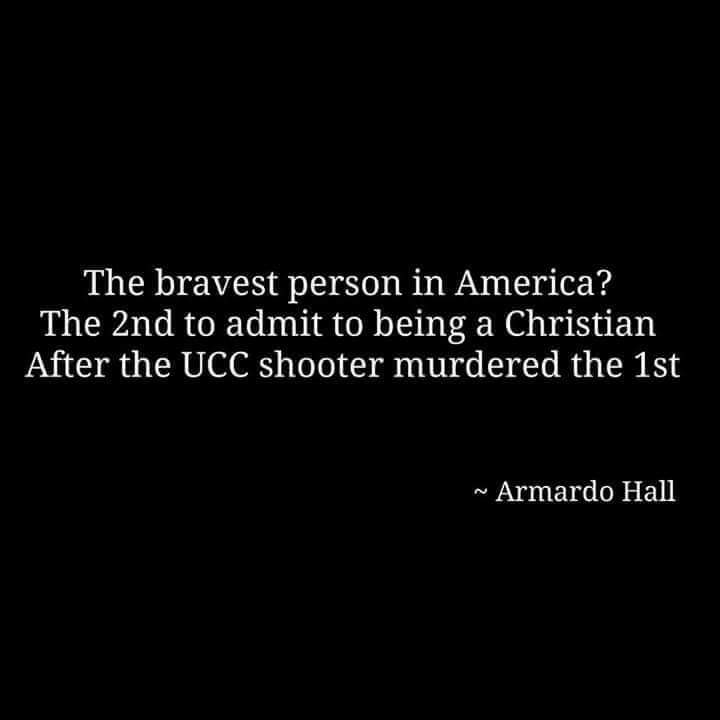 I hoped that church and my pastor would provide me the solace that I needed to try to rationalize the irrational of this horrible deed. Tragedy struck us here in Oregon when a shooter, who SHALL NOT be named, gunned down 9 victims at Umpqua Community College. He killed 9, injured numerous, and mentally affected millions more as the threat of hatred and oppression crashed down on us in a disgusting form. The worst part of the whole thing, and I am ashamed to admit this, is that when the news flash first appeared on my phone and on my Twitter feed I casually caught myself thinking, Oh, just another shooting! Have I lost my mind? Have I let these vile acts that happen around the world become the “norm”? I was appalled at myself at those words. What really made the event hit home for me though was seeing some near and dear friends of mine on Saturday who put everything in perspective as I saw the pain on their faces over the loss of a softball teammate who had been murdered for saying she was Christian. I then saw this post on Facebook and it really spiked my intellectual thinking on the whole incident. I couldn’t help but ask myself this question like so many other Christians were around the world. I know that I would have said that I was, but I also know that there would be a larger side of me, the defiant side of me, that would have fought back or died trying to save those around me. I am a fighter, I refuse to back down. This has been proved more times than I feel like it should be in my short life already and I know exactly how I would have acted in this situation. As Sunday dawned bright and early, I was up after a restless night of little to no sleep. I wanted to know what pastor Seth was going to say. I wanted ANSWERS! I wanted to know WHY GOD? WHY? It seemed to take forever, so long that I thought maybe they were just going to ignore the events altogether but then, never fail, Seth led us into the discussion. I was impressed that at first he brought in a quote from a book on Atheism by Sam Harris called “Letters to a Christian Nation” and I caught myself silently agreeing. The questions we all feel is if God is truly so almighty, why would He let this happen? 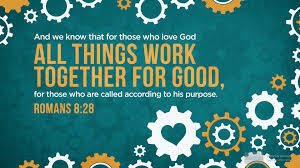 Therefore, God is not as powerful as He claims to be OR, if He is so powerful, than He has simply chosen to do nothing about this and therefore is EVIL. I do believe that God is all powerful. I don’t believe that God is evil. But how do you rationalize the irrational in this situation? Pastor Seth shared with us a metaphor, saying how we had all dealt with a small child that really wanted something or to do something but we could see the affect of it down the road. That we knew exactly why they couldn’t have or do whatever they wanted because we were older and wiser. In this situation we are the proverbial three year old to God and his infinite wisdom. There are three reasons; Redemptive reasons, there’s more than one will at play, and there is a better question if you look at the cross. Whatever the issue, you can see significantly at the end that whatever the outcome, that it is better than all of the suffering. This isn’t the end of the story. For the sake of all the families though, don’t tell them this because the pain is raw. But we can only have faith in God to take care of us and have the ending be so much better than what we are at. This is not the end of their story, this is not the end of the legacy of those that we lost on October 1st. There are so many others out there who are forcing their will on others, for it to be heard. This was the shooter. He wanted to force his will upon the students at Umpqua Community College. There are only two times in the Bible that God’s actions are questioned. One of those they are completely ignored and on the second we see that God see it as almost an accusation, that they don’t deem him trustworthy. We need to have faith in God and His plan for all of us and know that our time on this world is only fleeting compared to the eternity we are promised. TRUST HIM. Have a conversation with God, your pastor, or someone who knows you or God better than you know yourself and God. Don’t waver in your belief and don’t doubt. 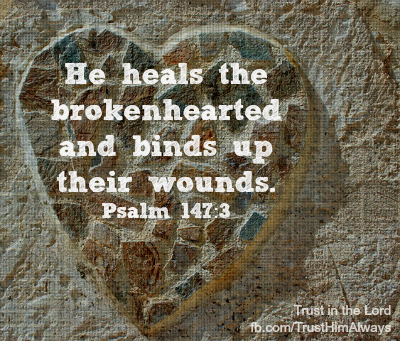 Please find it in your kindness and compassion to pray for those families and the community of Roseburg as they begin the long grieving process ahead of them.